The Hitman X is an awesome choice when building an engine to use power adders such as nitrous and superchargers. You can now choose the perfect runner and chamber for your bigger applications. 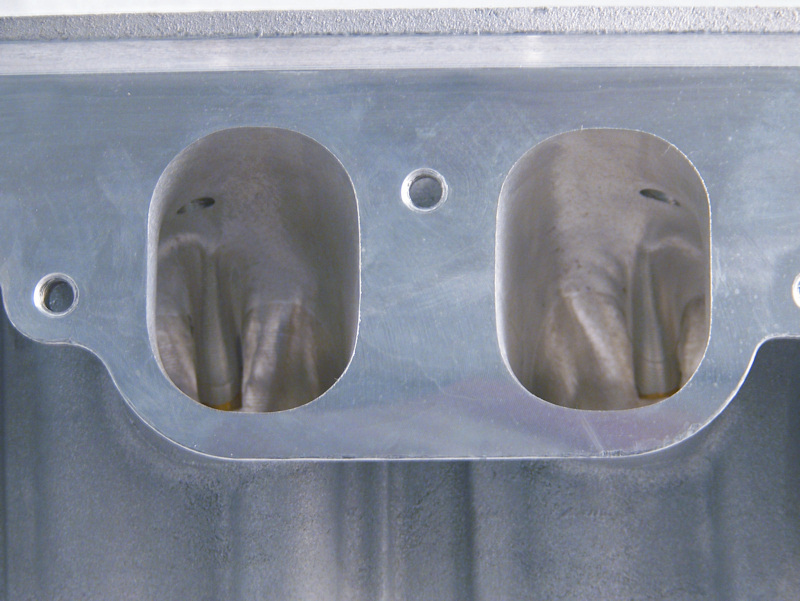 The CNC 490cc intake port is available with a 62cc, 72cc, or 74cc chamber. Includes Copper Alloy Valve Seats with finished Valve Job and 490cc CNC Intake Runners. 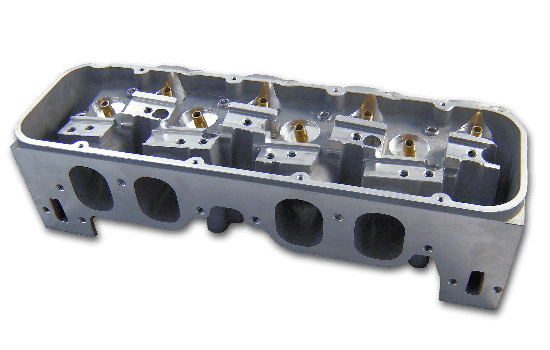 Optional 60cc, 72cc, or 74cc CNC Chambers and 5/16 or 11/32 Valve Guides. 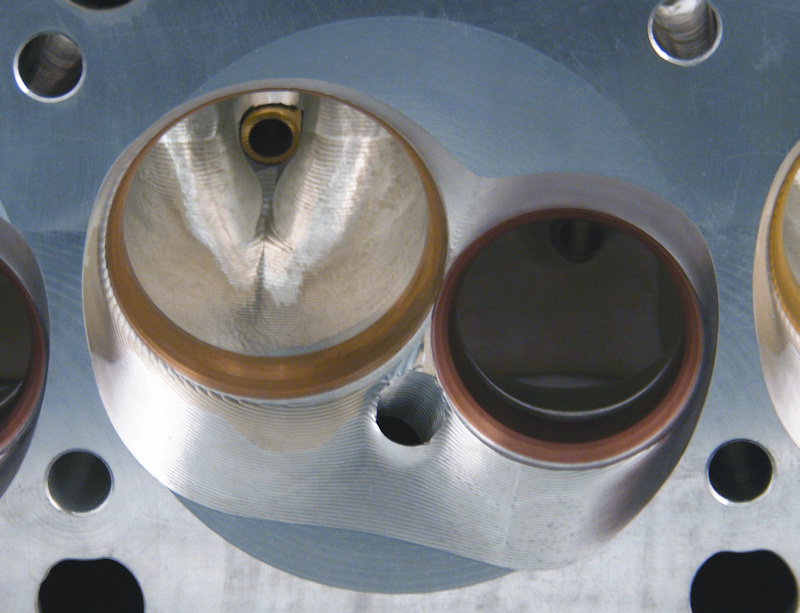 We also offer a Titanium Valve and Spring Package with .850 Lift 1.650 dia Dual Roller Springs with Retainers and Locks. 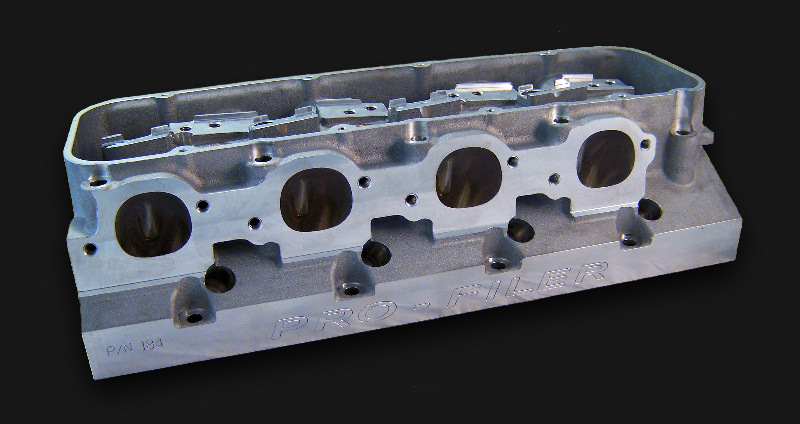 Pro Filer Hitman X CNC Big Block Chevy Heads with 490cc Intake Runner, 2.450" Intake Valve and 1.850" exhaust valve. 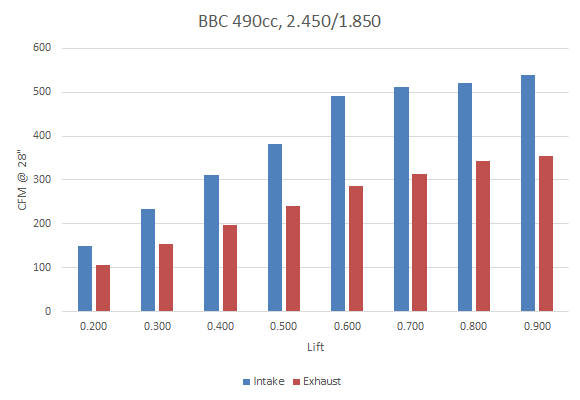 Flow data based on Cylinder #1 intake and exhaust port. Flow measured at 28" of depression. 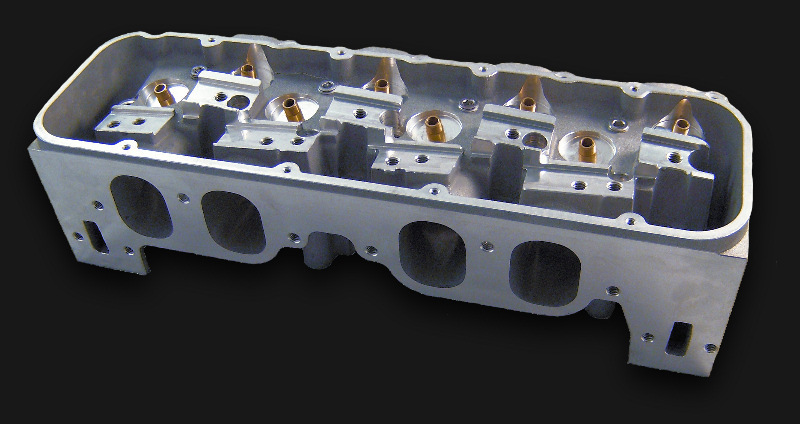 Pro Filer Hitman X CNC Big Block Chevy Heads with 515cc Intake Runner, 2.450" Intake Valve and 1.850" exhaust valve. 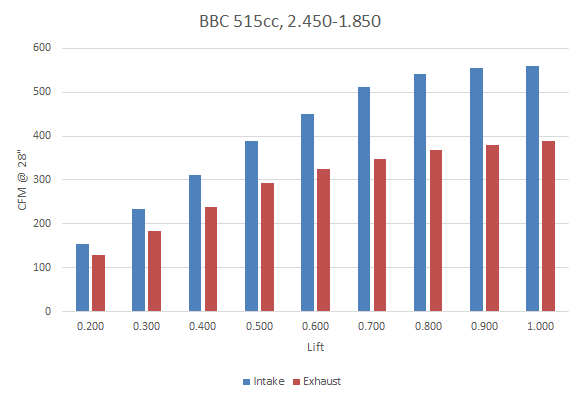 Flow data based on Cylinder #1 intake and exhaust port. Flow measured at 28" of depression.